An important part of social skills is making friends. This worksheet requires students to think about what it means to be inclusive. It is hard to focus just in inclusiveness, as part of it means to be empathetic, respectful and cooperative. 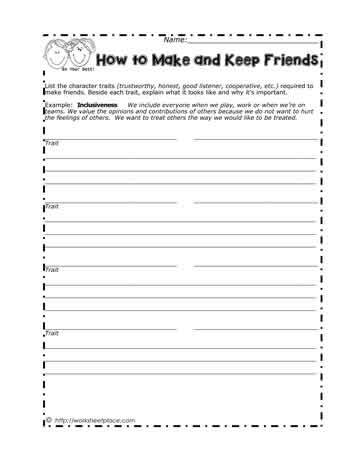 This worksheet focuses on friendships and doing the right thing.